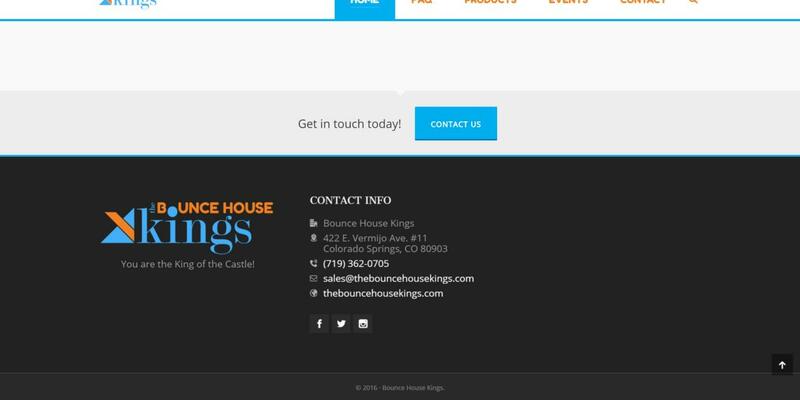 Bounce House Kings was a great change of pace for our web developers. 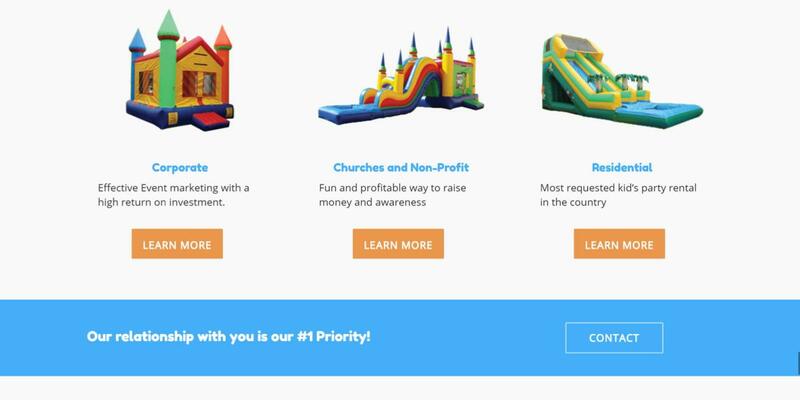 We’ve gotten the chance to represent restaurants, politicians, and even high school outreach programs, but bounce houses touch a difference place in our heart. 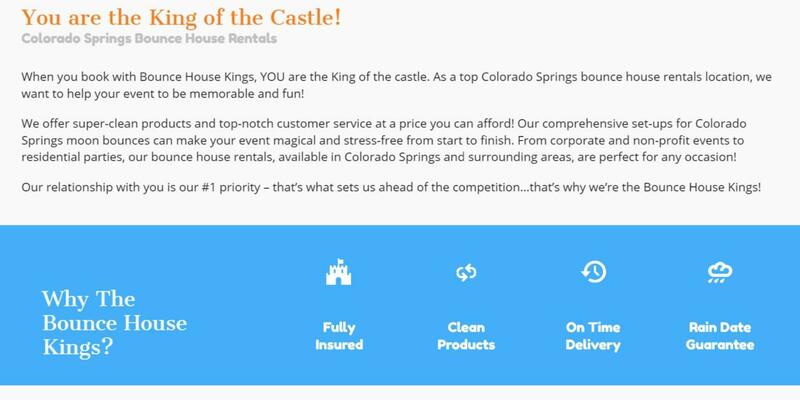 We instantly fell in love with their genuine care for children’s safety and family values. 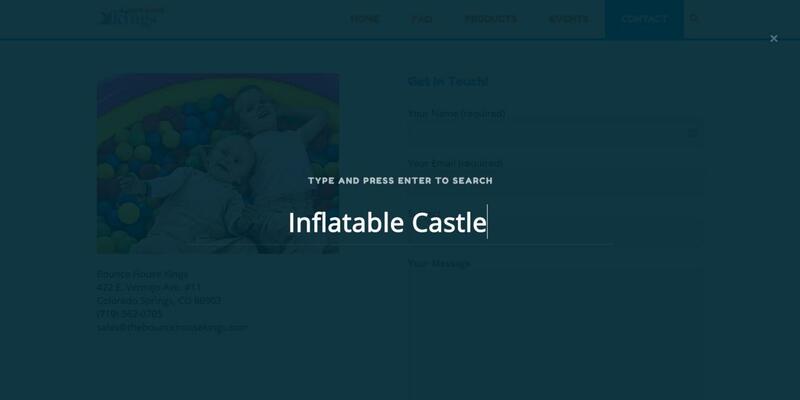 Since this is a new start-up, we got the privilege of having a clean slate for this project. After meeting with Glen, we were tasked with combining their fun and inviting character with a more professional tone to appeal to their audiences. Donning a minimalist theme, we wanted to complement their colors without being overstimulating. 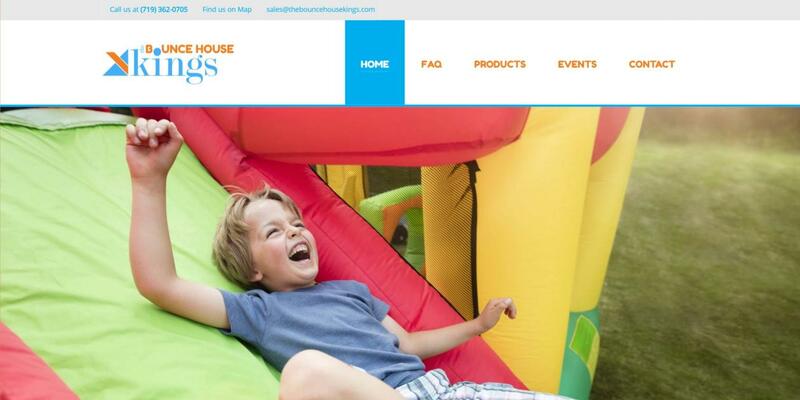 We are pretty satisfied with this project and look forward to helping the Bounce House Kings business grow.